Clarke, my creature behind the door, has been cast in stone. It is a very large and heavy piece of stone. If you've been following on Facebook you are aware of my apathy towards the moulding process so it makes me quiet happy to have completed the moulding of the main characters. I can now turn my attention to sculpting the last character (who is not really a character at all) At one point in the film, Isaac drags the body of a dead creature into the room. 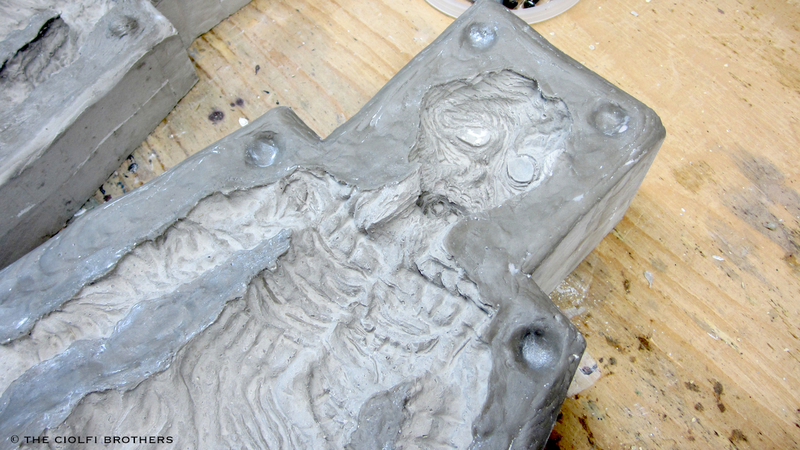 Although the creature is hardly seen, I have decided to do a full sculpt. It seemed lazy to do anything less. I am very happy with the design of the designs for these characters and think it will make for an interesting looking film. 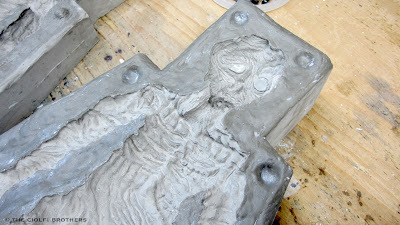 You can see additional photos of the moulding process used on the Clarke in the PREPRODUCTION tab.